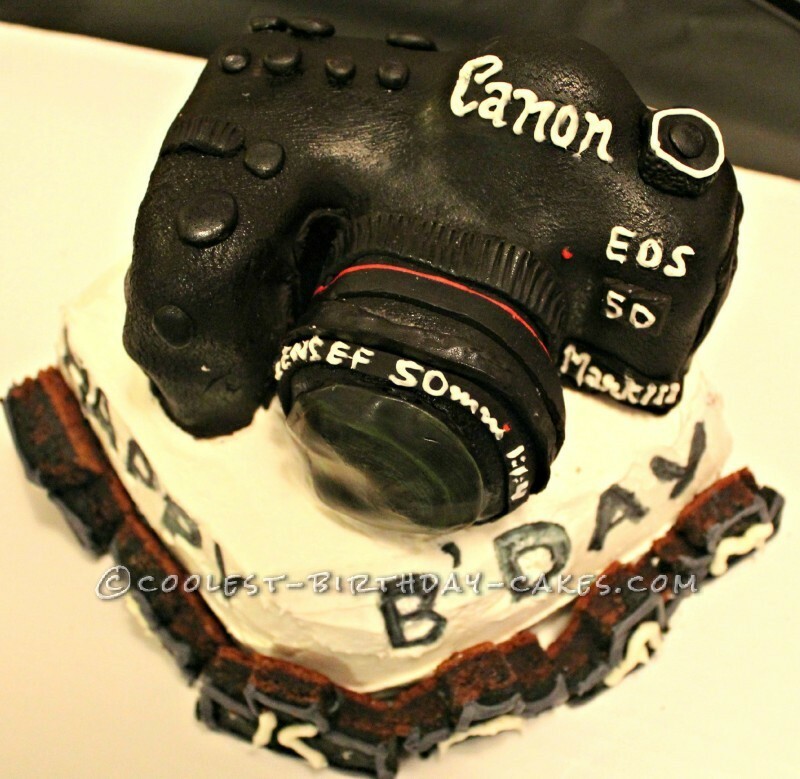 This was my first ever cake using a fondant, and I wondered why did I not use it before? I was always under the impression that only professionals and pros can use it but then I thought of challenging myself and found that this was indeed not that tough and gave good results. 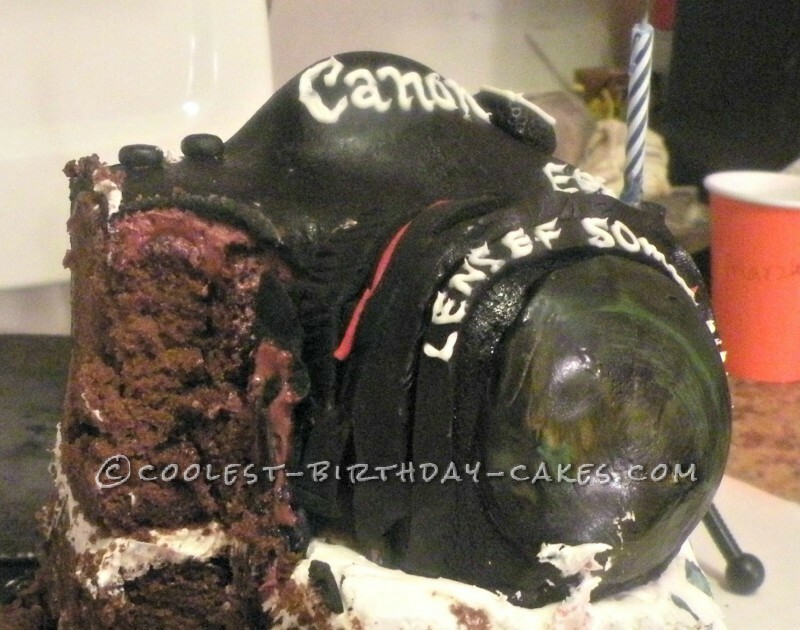 This camera cake was for my shutterbug brother in law who actually got this camera as his birthday gift this year from my sister. What made the whole thing even more fun was that this was a surprise birthday party for him and for him , our family had already left for a vacation outside US and there was no way he was expecting us (even if he was expecting a surprise). And the cake was icing on the party idea as he has seen me baking and making shapes but this was a 3D image with fondant that he or anybody least expected. So yea, he was truly surprised and over whelmed to see us and I just had the base of the cake placed on the cake table for him and he dint have a choice but to say hey that’s a good one, thank you. 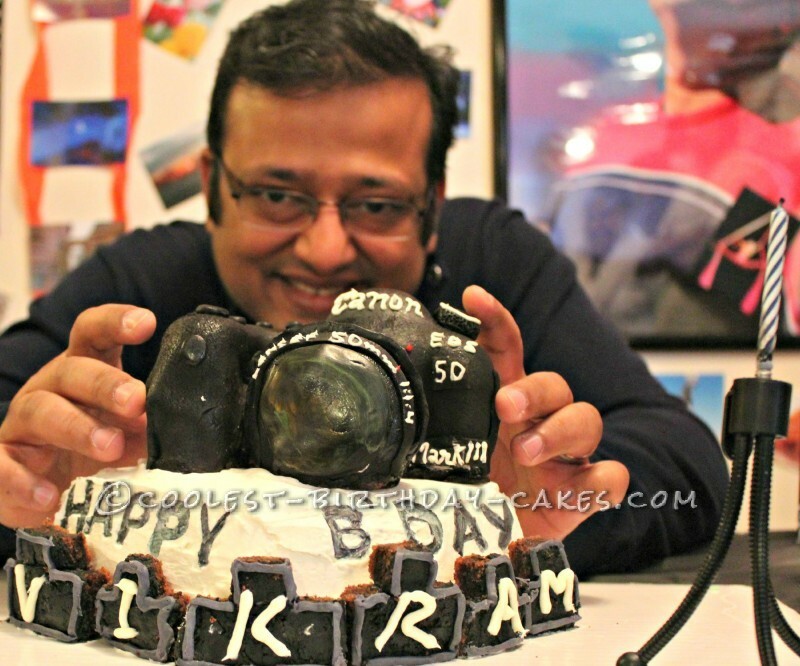 But then just before the cake cutting I lifted the camera cake and placed it on the top and then the expression was priceless. He was now truly surprised, excited and impressed! 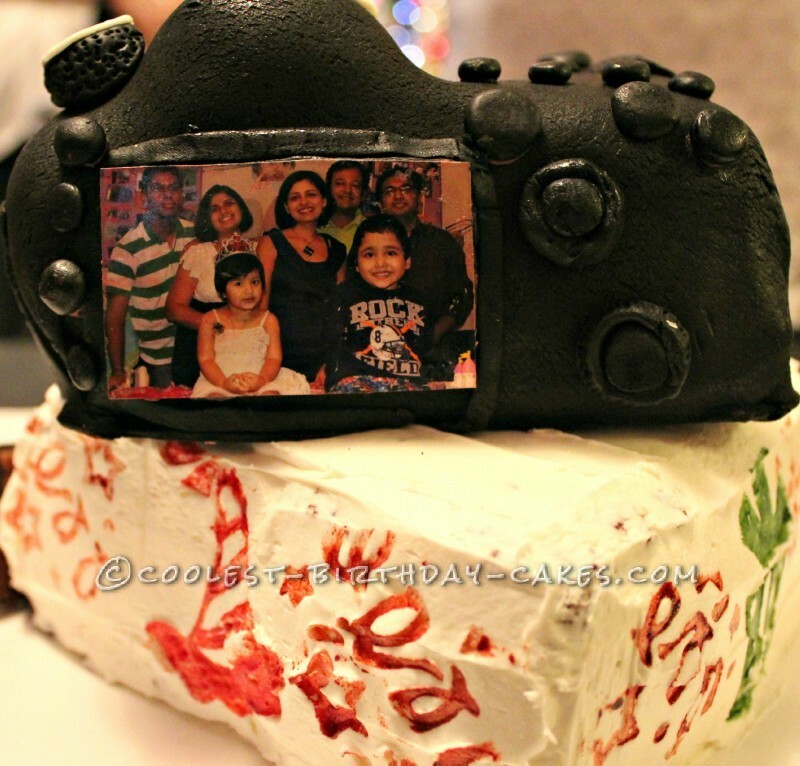 The best was that he did not cut the camera but just the base it was placed on, he just kept saying, “I cant cut this .. its truly awesome”, and that was my reward !! Yea but finally we did let him cut it. I am no Pro and I never baked anything before I baked my first cake for my daughter’s 2nd birthday and it’s just been a couple of months that I started baking and I bake it for my family and friends only with ingredient of excitement, love and trying to do something new.